the crafterie hosted two taster/tester workshops over the last two weekends, which were partly for me to get back into the swing of teaching workshops and get all the silly rookie mistakes out of the way, and partly to take some beautiful photos to use to promote future workshops and parties. they were super duper hard work and were months in the preparation. but i had so much fun doing them. i used to do workshops quite regularly at the old shop, but never really bothered about making it look beautiful or providing the attendees with a wonderful all round experience. the idea behind the crafterie's workshops and parties are that they are to be a beautiful and inspiring experience, that they feel like a treat or a special day out. i won't be able to do the workshops very often and they will more than likely be for special occasions during the year, but parties will be run all year round for special events and celebrations, or just for a treat or team building. whatever the occasion, i want to make sure that they are memorable and enjoyable and that people feel that they have been really spoiled by attending one of my workshops. i am also working on getting some kids parties and school holiday workshops set up too. 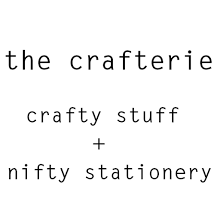 so, there is lots going on at crafterie hq. i'll leave you with some pics from the workshops, but if you're interested in finding out about our workshops and parties, as well as to get 10% off all workshop bookings, please join our mailing list here. Hey, this theme is looking amazing. I loved these handmade crafts for the party décor. Keep sharing such details here. We have also been making plans for a DIY party for our son’s birthday but for this bash we will choose a good outdoor location. Can anyone here recommend Los Angeles event venues?